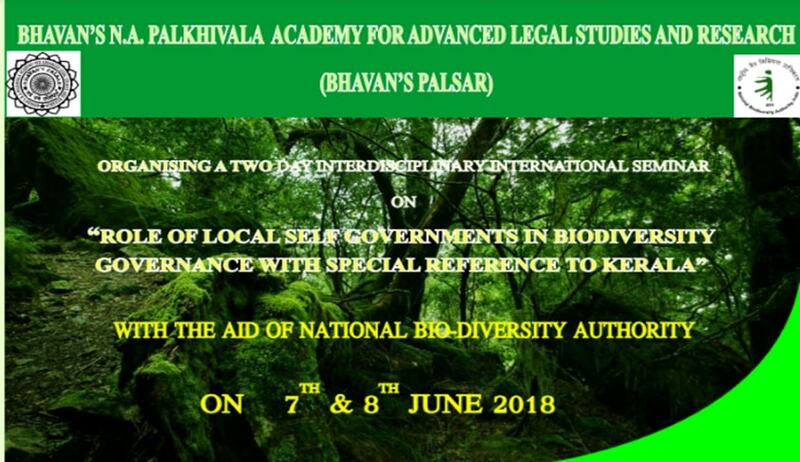 Bhavan's NA Palkhivala Academy for Advanced Legal Studies and Research is organising a two-day international seminar on ‘Role of Local Self Governments in Biodiversity Governance, with special reference to Kerala’. The seminar aims to provide a forum to participants to understand the emerging issues in this realm and to explore concrete solutions which can emerge as an eye opener for the government and policymakers. The academy invites papers for presentation at the seminar. The brochure for the seminar can be accessed here.